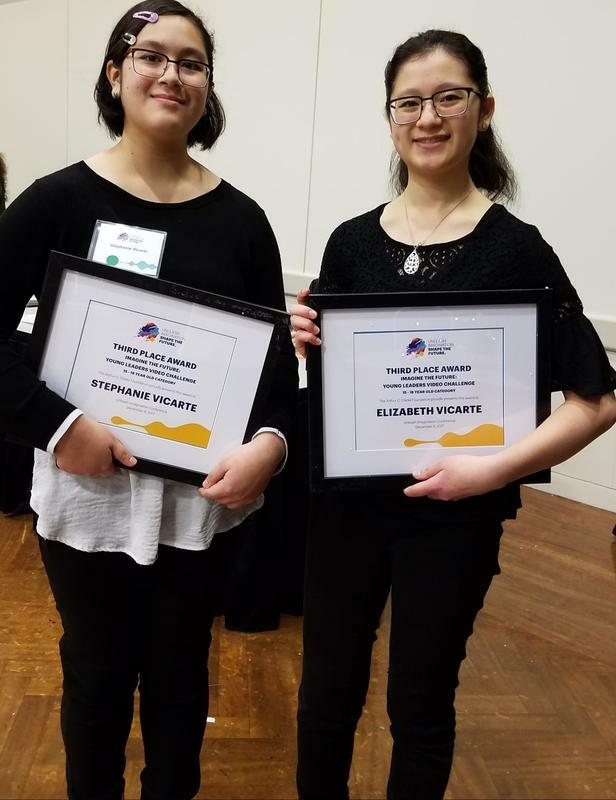 When we submitted our video to the Youth Video Challenge (you can watch it here: youtu.be/ZFhILt3FA5k), neither of us could've ever imagined that it would be selected as one of the semi-finalists in the 15-18 age division! As part of the reward, the both of us, as well as our parents, were invited to a three day trip to Washington DC from December 7th-9th (2017) where we had the pleasure to dine with the other semifinalists and their parents, take a guided tour of the National Museum of American History and the Smithsonian National Air and Space Museum, and be a part of the Unleash Imagination - Shape the Future Conference held at George Washington University and hosted by the Arthur C. Clarke Foundation. We also attended the Clarke Centenary Celebration Dinner and were present at the Arthur C. Clarke Awards Ceremony right after, held at the Marvin Center's Grand Ballroom. We arrived at DC the afternoon of the meet-and-greet dinner and checked in at the Hyatt Place hotel, which was graciously provided and payed for by the Arthur C. Clarke Foundation. That was when we first met Francine Tolson, the Youth Video Challenge semifinalist's event organizer for the next 3 days. Francine actually wasn't a part of the Clarke organization, but was a good friend of Monica Morgan, the Executive Director of the Arthur C. Clarke Foundation, and so we are very grateful to Francine who volunteered to be our organizer and guide these 3 days while we were in DC! 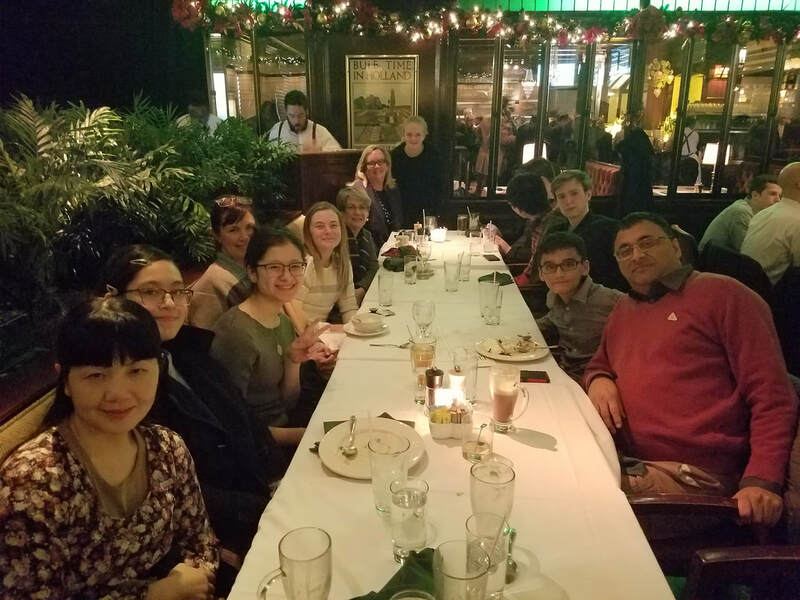 All of the semifinalists met at the Old Ebbitt Grill on 15th Street (very nice restaurant, by the way with a wide assortment of seafood!) and there, we spent a happy 3-4 hours getting to know everybody, which included the other semifinalists and their parents! We made great friends everyone, especially with the California semifinalist, Audrey, and her mom, as well as one of the younger age division semifinalists, Rohan, and his dad. Afterwards, all of us took a group photo and we headed back to our room at the hotel. This concluded our first day in DC! (From left going back, then from the back to the right) our mom, Stephanie, Elizabeth, Audrey's mom, Audrey, Francine, Monica, Lucy, Alex, Jerry, James, Rohan, and Rohan's dad. This was taken at the meet-and-greet dinner at the Old Ebbitt Grill, which was provided by the Arthur C. Clarke Foundation. This day, the semifinalists were invited to go and take guided tours of the National Museum of American History and the Smithsonian National Air and Space Museum. This was a lot of fun because neither of us have ever been to the American History museum before and it's been years since we last visited the Air and Space Museum! We were particularly surprised to discover when our tour guide explained that the Air and Space Museum was going to be completely renovated from the bottom up in the next 5 years, and that was why there weren't as many exhibits in the museum as there normally would be, since they were all gradually being taken out and showcased around the US on tour. We can't wait to see how that will turn out! We had lunch at the American History museum, and there, we met Martin Collins, the curator of the National Air and Space Museum. After lunch, we walked to the National Air and Space Museum and spent another 2-ish hours enjoying ourselves and learning a lot about the Wright Brothers (December 17th marks the anniversary for when flight was first achieved by the Wright Brothers in 1903!). For dinner, we were all invited by Timothy Logue, Board Member of the Arthur C. Clarke Foundation Board of Directors, to eat at this really nice pizzeria called Bertucci's. And that pretty much wraps up that day! During the final day of our trip we, and the rest of the semi-finalists, attended the Unleash the Imagination- Shape the Future Conference and the Arthur C. Clarke Centenary Awards, Dinner and Celebration. In the Unleash the Imagination- Shape the Future Conference, several Discussants conversed about the future, how technology will develop and affect us in the future, and the future of AI. All the conferences were incredibly interesting. Some of the panels talked about the philosophical values of developing AI and others the difficulties in producing self-driving cars. One of the discussants, Dava J. Newman the Former Deputy Administrator of NASA, described her latest project called the Bio-Suit. The Bio-Suit is a new extravehicular mobility unit, or more commonly known as a space suit, that is designed to protect future Astronauts that travel to Mars. Because of the significantly colder weather on the Red Planet and the lack of mobility on the previous space suit, the Bio-Suit uses pressure to generate heat and is designed to keep it's helmet separated from the rest of the suit to keep oxygen contained in just the head area. This allows the suit to be form-fitting and highly mobile. For more information of Dava Newman's Bio-Suit click on this link (https://www.nasa.gov/pdf/617047main_45s_building_future_spacesuit.pdf). Also during our time at the Shape the Future Conferences, we were able to meet esteemed author Kim Stanley Robinson, the author of the 'Mars Trilogy'. We were able to hear some of his view points on how advanced technologies will change our lives, and afterwords he was kind enough to autograph one his books we owned, 'Red Mars'. 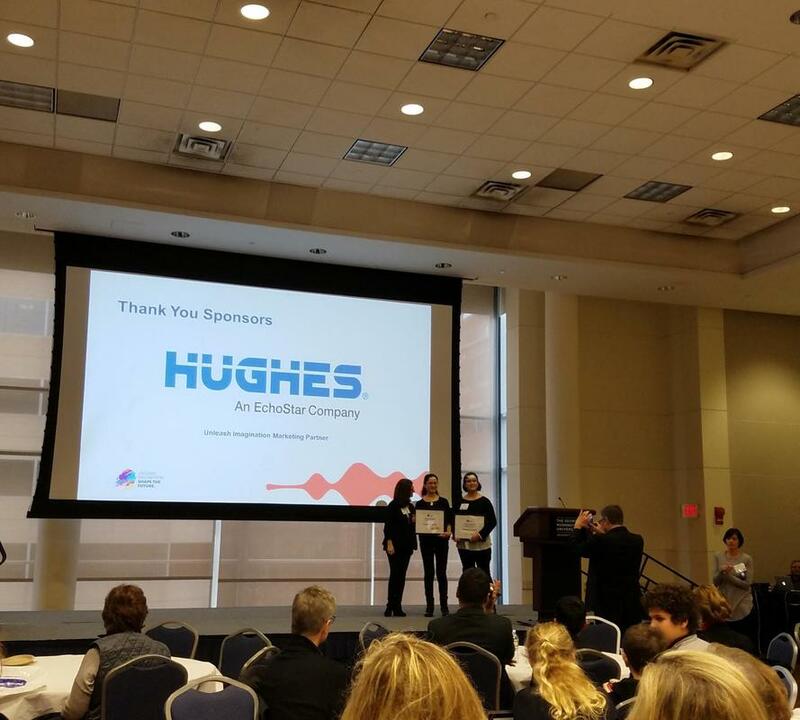 After attending multiple panels discussing issues of the future, the results of the Shape the Future Video Challenge were released and we were delighted to win 3rd place along with the prize scholarship money of $500. To this day we are honored to have been invited to attend the Shape the Future Conferences and experience the generosity the Arthur C. Clarke foundation has given us. When all the Video Challenge awards were given out it was time for the Arthur C. Clarke Centenary Awards, Dinner and Celebration. For the next three hours the Arthur C. Clarke Foundation provided everyone with an extravagant and magnificent dinner as we celebrated on the awardee's achievements, including a video-recorded musical tribute to Arthur Clarke by Yo-Yo Ma and a special guest appearance, Buzz Aldrin .